Tunisia Information, Advice and Expat community. 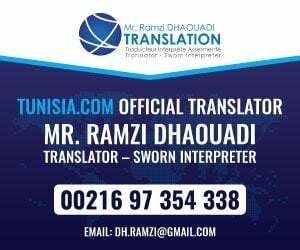 Providing information and expertise on Tunisia for over 10 years. If you’re looking for information about Tunisia you have come to the right place. For since 2005 Tunisia.com has been the leading independent information website about Tunisia. We have travel guides and a busy forum which has been a hub for thousands or visitors and expats for years. Most visitors can find the information they want or ask a question free, just sign up and you’re ready to go! For other visitors professional advice is required especially when it comes to marriage/divorce and investing in property or business ventures. This is undertaken on a paid basis by our network of Tunisian partners whom we personally recommend whom offer a great value for money service. For these services, we have information pages where you can read about the services offered and a help desk system where you can request help/quote. We have also teamed up with Technocasa Tunisia in 2015 to offer a fantastic range of properties and businesses for sale in Tunisia. Technocasa have offices in all the major locations of Tunisia and ongoing if you list your property for sale or for rent with Technocasa it will appear on Tunisia.com. Technocasa are part of a international real estate group and all offices are licensed as is the legal requirement in Tunisia.